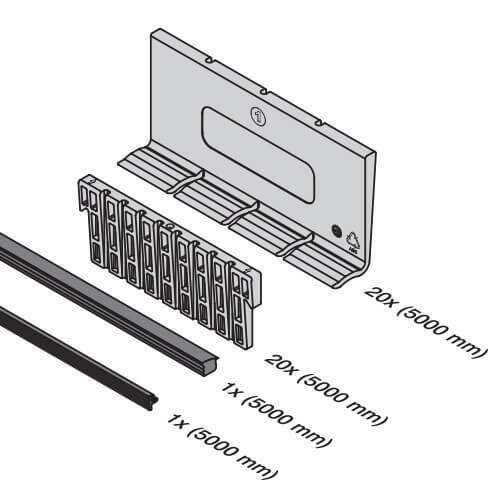 Rubber and safety wedge kits for secure installation of glass panels into 'Easy Glass Up' mounting profiles. 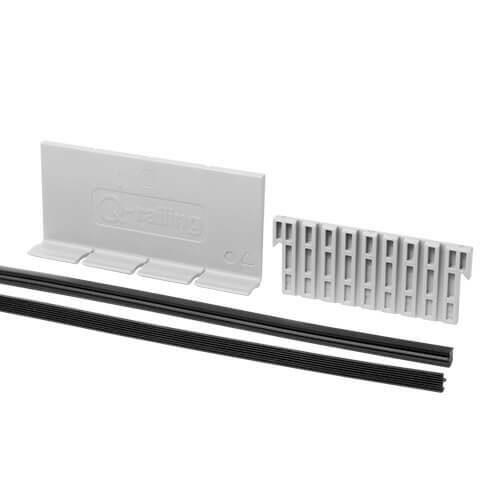 This rubber insert and wedge kit is only suitable for use with the 'Easy Glass Up' Parapet Frameless Glass Balustrade System. Designed for secure and perfect positioning and alignment of glass panels. Available in a selection of sizes to fit mono and laminated glass thickness of 12mm - 17.52mm. Supplied in 5 metre length kits. Rubber inserts can be cut to size required. Multi application tool for frameless glass channel balustrade installation. 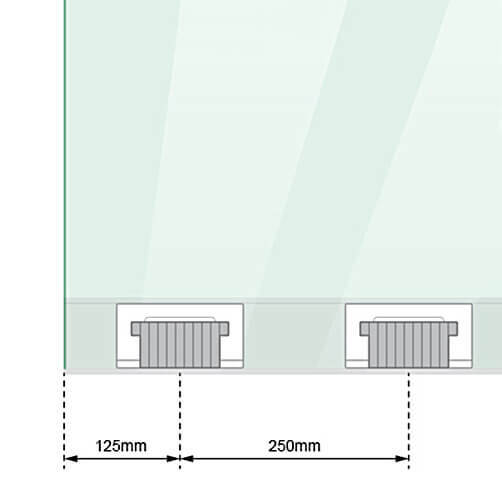 Top Mount Base Profiles for parapet frameless glass balustrade. End Plate for exposed base profile ends. M8 Anchor Bolts for a secure base profile fixing. Mono and Laminated Glass for frameless balustrade.